Description: Sugar 'n Cream Yarn is a medium, worsted weight, soft and absorbent cotton yarn that is perfect for dishcloths, accessories and more. Recommended for crochet hooks size H-8(US) and knitting needles size 7(US). Care: Machine wash on the delicate cycle. Tumble dry low heat. Remove before dry, shape. 100% USA. Grown Cotton. 4 ply. 95 yards (2 oz). #190 Painted Desert Ombre - Tan, Rust, Wine, Dusty Red, Dusty Green, Dusty Blue. 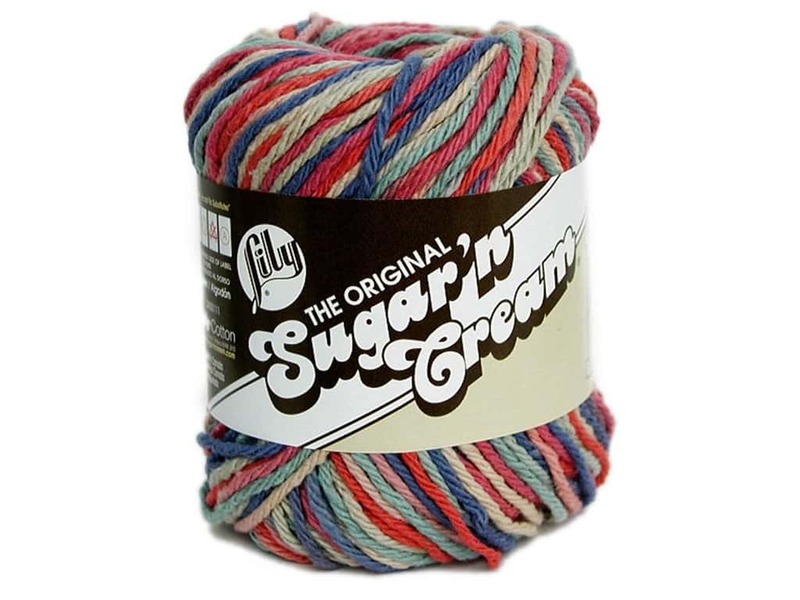 See more Sugar'n Cream Yarn. Sugar n Cream Yarn 95 yd. Painted Desert Ombre -- CreateForLess 0.00 out of 5 based on 0 ratings. 0 user reviews.